2. How Can I Submit Articles in a Series? If you often create articles in a series, each article should always stand alone as an individual article. You can reference other articles in the series, but your readers should not be scratching their head wondering why your article starts or ends awkwardly. There’s no reason to create more than 1 account on an article submission site. There should be a place to add Alternate Author Names so you can keep your articles separate between authors. Having more than one account compromises your intentions. Each article you publish should include your author name, so we recommend improving your image by adding an image of yourself to your account. Show the world who you are and how delighted you are to be sharing your article! 5. Can I Link to Just a Squeeze Page? If you’re interested in learning more about quality squeeze pages, take a moment to read our Top 10 Ways to Improve Your Squeeze Page. It’s difficult to get a quality read that inspires you in a 250 word article, but it also shouldn’t take an entire day to finish. If you shoot for 500-700 words of quality content, you will have a better chance of your readers coming back as it will be easier to digest. 7. Can I Add Images with My Article? If you want to include an image with your article, present the image on a link instead. Make sure there is quality content on the page you’re directing your readers to. We don’t recommend linking to a page strictly with images or graphs. Make it bonus material apart from the real content. 8. Should I Use Different Keyword Variations in My Article? Your article should not contain overly-similar keyword variations, as they can be confusing to readers. Excessive keyword variations can cause your article to appear keyword-dense, so stay consistent to keep everyone on the same page. 9. Can I Submit Content Taken From an Article Spinner? No way! Spun content is not original, the grammar reads very poorly and it destroys your credibility as an Expert Author. Don’t use any type of software that creates content for you. This blog contains a few more article submission blunders to avoid at all costs. 10. How Many Links Should be Added to My Article? As a general rule of thumb, stick with 2 self-serving links in your article. The best place for these links are in your Resource Box. A self-serving link is defined as a website that you own, control, or have a vested interest in. 11. Should I Include an Affiliate Link in My Article? If you are adamant about inserting an affiliate link in your article, make sure it comes from the top level of a domain which you own. Affiliate links are easily sniffed out by hesitant customers. If your link contains random affiliate code and numbers, it will turn many readers away. 12. Can I Promote Myself in My Article? If you enter any promotional content in the Article Body of your article, you’re being too quick to offer your services. Your readers need a chance to take in your work! The Resource Box is your “take” and should be the only place focused on you and what you can offer. The Resource Box in your article is a place to add a brief description about yourself. It can include your company name, contact details and links to your website that establish your credibility and relate to your article’s topic. 14. Can I Publish the Same Content on Multiple Sites? Of course! We encourage you to use your content on both your website and multiple article submission sites. However, your author name needs to match and should be clearly attached to the article. 15. How Can I Get My Articles Reviewed Faster? The easiest way to get your articles accepted and published quickly is by following the answers above! The article you submit should be your final draft, free of errors and 100% original content. However, if you want to guarantee a faster approval time, you can purchase our Premium Membership to put your articles at the front of the line. If you made it to the end of the list and are satisfied with the answers, good for you! You are definitely on the right path on making sure these basics are covered. However … if you don’t agree with an answer from our list, we invite you to the comment section below to let us have it. Which question did you disagree with? Why do you feel your direction is the better route to take? Useful list, Derek. Great to pin up near the inspiration desk! Can I please emphasize two of the points you’ve made? Both come from the fact that most EzineArticles authors are trying – among other objectives – to get the reader to click through a link to their squeeze page or website. Point 4: photo. This is VITAL of you want true recognition and for people to have confidence in you. Have a photoshoot with a good photographer (worth paying for!) who will show you against neutral or significant-to-your-business backgrounds and looking professional, confidence-boosting, trustworthy, fun-loving, – or whatever you need to inspire the reader to engage with you. The photographer can suggest backgrounds and coach you on attitude, expression and stance. Props may be helpful – or not. A small portfolio of such pictures is worth a lot of credit to you, so make sure that they’re in your copyright, not the photographer’s (which will usually cost a little more). The one I use here is a studio shot, with an added background of my favourite spot in Sherwood Forest, a half-hour’s walk from home. I hope it makes me look wise but approachable. Also. there are some who won’t click through whatever, or don’t have the time just now. You want to leave these visitors noting down the reference to the article, for later investigation, or simply thinking well enough of you that when they see you name and picture later, they’ll want to find out more. 2. Don’t use a hyphen with an adverb ending with -ly: “overly similar” shouldn’t be hyphenated. You’re right, of course, Jean. Are you a senior editor with a large publisher? If you are, you may well be shaping changes in that publisher’s policy on spelling and grammar, so you’ll know that in practice (note UK spelling) the English language has always been, and – God willing – always will be fluid. It’s not very often that EzineArticles authors will be writing formally. Their aim will usually be to write well enough and correctly enough so that almost no readers will be distracted from the message by grammatical points. Of course, this won’t include editors, who can’t read anything without itching to improve the text! But spelling and punctuation should be good enough to shape the way that readers read; the reader should pick up your deliberate (but subtle) emphases and pauses in thought, without being jarred by any noticeable errors. As far as numbers are concerned, you don’t mention the use of Roman numerals: good. All the grammar books have their own (different) rules for number usage; so do every learned journal, every newspaper style book, every publisher. I have decided, after half a century of all this, that the best practice is simply this: be clear, by unambiguous. And the latter is paramount. Interesting and thoughtful reply – thanks! -The British spelling is practise for the verb and practice for the noun. Americans use practice for both. -I wouldn’t say that it’s a distinction between formal and informal writing. In my mind, “formal” would be a scholarly book. “Formal” to me means third person, limited use of contractions, lots of semicolons, no dangling modifiers, and the like. The distinction I would use is “professional” vs. “colloquial.” My husband is the garden writer for a newspaper. I edit (savagely) his columns. He writes informally, using “I” and “you” liberally and many contractions. I allow some constructions that I would clean up in a scholarly book (I’ve published a book myself with a university press). For example, I allow some dangling modifiers, and he sometimes uses “they” instead of “his/her.” He doesn’t like “snuck” and still uses the more traditional “sneaked” (which is on its way out), but I would allow “snuck” if that was the word he wanted. What I’m careful with are subject-verb agreement, pronoun case, punctuation, and so on. His writing isn’t formal, but it’s definitely professional. I use colloquialisms when I talk. I don’t worry about subject-verb agreement, possessives with gerundives, and so on. I often speak in fragments. If I were writing a novel, I would use colloquialisms in the dialogue. I would call the writing in comic strips “professional,” (which of course doesn’t mean “stuffy”), and it pleases me that the artists seem to care as much about the writing as about the drawing. I don’t know whether the major comic strips have a copyeditor on retainer or keep a copy of Fowler’s on the shelf, but it’s extraordinary that the usage is so good. Look at some of the old work from Charles Shultz (Peanuts) and Carl Barks (classic Donald Duck and Scrooge McDuck comic books). The writing is amazing, and the tradition continues. I had fun writing this – thanks for listening! Yes, I am British, with a teaching, publishing and editing background like you. I once took on the challenge of teaching grammar to a Junior High class (in the UK, Year 10) who were, as we say, ‘linguistically challenged’ in their own language, despite not being an English specialist. To ribald comments from their regular teachers, I successfully taught them use of period (full stop) and comma, quotation marks, personal pronoun/plural usage and other such common errors. They learned it all, and looked forward to the old-fashioned tests I gave them, as they could see their scores rise and very much liked this contradiction to their usual performance. Then I put it all together, with a term to go before we parted, and I began to see the reason for the joking of my colleagues! In effect, all but two of my previously low-achieving (but now improved?) class could not compose a written piece in English AND use the correct grammar, both at the same time. I watched them sweat and try mightily, when I promised rewards if they succeeded; only another three could manage this, and that so painstakingly that it was painful to watch. I learned a major lesson from this, and because I’d kept records it was useful to my English-specialist colleagues, too. Unless humans have a very high intellectual capacity, they find high-level cogitation difficult, and multi-tasking such work almost impossible. As reading and writing are about the most intellectual activities most people ever attempt on a regular basis, this is perhaps not unexpected. Only a few days ago, this was brought back to me when I received a business email from a customer, one of several. She is a literate and successful businesswoman, but her previous emails had been brief, unpunctuated and in lower case. This one was very literate, articulate and amusing. Checking back, I saw that the others had been composed on her phone; this latter, I presume, on a full keyboard. I have found the same myself: the complexities of using a phone for writing letters and the shortage of time, have changed our view of the minimum standard required in short notes. Now, clear communication is all and anything which isn’t confusing is allowed. I can’t object to this, because of the rule with which I ended my last comment: be clear, be unambiguous. At the minimum, no more is needed, though I can’t bring myself to be THAT minimalist – I punctuate and use capitals even on my phone, and can’t stop myself! Totally agree with you. I think sometimes people think “Sure it’s only a couple of hundred words – I’m not paying more than $20 for that!” – but they totally underestimate the time and skill it takes to write those words. The comments have become separate posts, Derek. Thanks for sharing and reminding the vital aspects of good article writing. ” Can I Publish the Same Content on Multiple Sites?” You answer to this question is positive, how does your affirmative response to this question compare with Google’s “no duplicate content” policy? Thanks for the share and for the shared comments. A blessed Thursday, Ezine and everyone! Nice set of questions and answers this set is actually an eye opening sequence as it has answered many of my questions. Moreover many said article submission is not that much advised as a major SEO practice, but after reading the exchanges I knew its significance. Thanks for letting me know its importance. First, I thank EzineArticles for having started this blog. 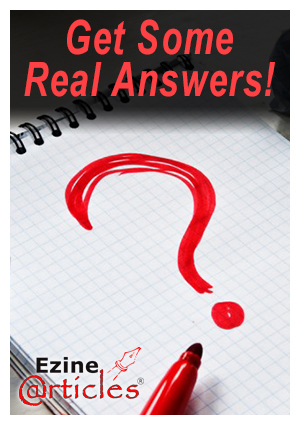 It shows how committed EzineArticles team is at helping and also answering questions from EzineArticles authors. I have learnt a lot from this blog. At one time I was undecided regarding the length of the article. I have read articles where people are recommending that search engines are likely to rank an article that has 700 words count compared to less that 500 words count. But then, I realized it won’t benefit a reader to write an article that has more than 700 words count full of crap content. It’s always a good thing to write an article by focusing on the reader. The article should contain information that is valuable and interesting to read. I am researcher and new on this site. Although I have some papers already published in a different levels. I thank EzineArticles will help me all of those to published on that which will be helpful to learner and researchers in a little bit. Very Nice article & useful to all writers. A helpful list. I often get confused while covering a topic that needs a detailed explanation. I feel like I can’t retain the readers until the end. What do you think I should do to keep the readers hooked? If I have to write on a topic like ‘Uses and Suppliers of Magnesium’, then can I mention names of the suppliers? In general, can I use proper nouns while drafting the article? Yes, you can include company or product names in your article. You just need to ensure that your articles do not contain references to your own company, or product, and are not written as sales copy promoting the products and services of others. Such material should be included only in the Resource Box. The BLOG TRAFFIC may reveal to you who your visitors are. You’ll be barraged with blogs with features that draw the users in. It must be connecting with enough to peruse completely through. This is not an easy paper! In an exposition you more often than not repeat the inquiry. Hey Derek, I happened to stumble upon this post when I was searching for content writing tips. I agree with point no.6 that if we shoot for 500-700 words of quality content we have a better chance to attract readers. In fact, today the norm is around 1000+ words. I also find many premium tools like WordAI and ArticleForge being used by people to steal and spin content. You have very clarified this point too. This article is a must-read for all content writers. It just feels sad that no images are allowed. I create my own images and would so love them to be added to my article(s). Q. How Can I Submit Articles in a Series? You are free to submit articles in a series. We do require all articles be able to stand alone as an individual article, even if it is part of a series. You just need to ensure your articles are formatted and numbered to be read independently. Thanks for the great info. It is a nice list and useful for us!